Housing Authority and Elementary School Take “All In” Approach - OneMacon! 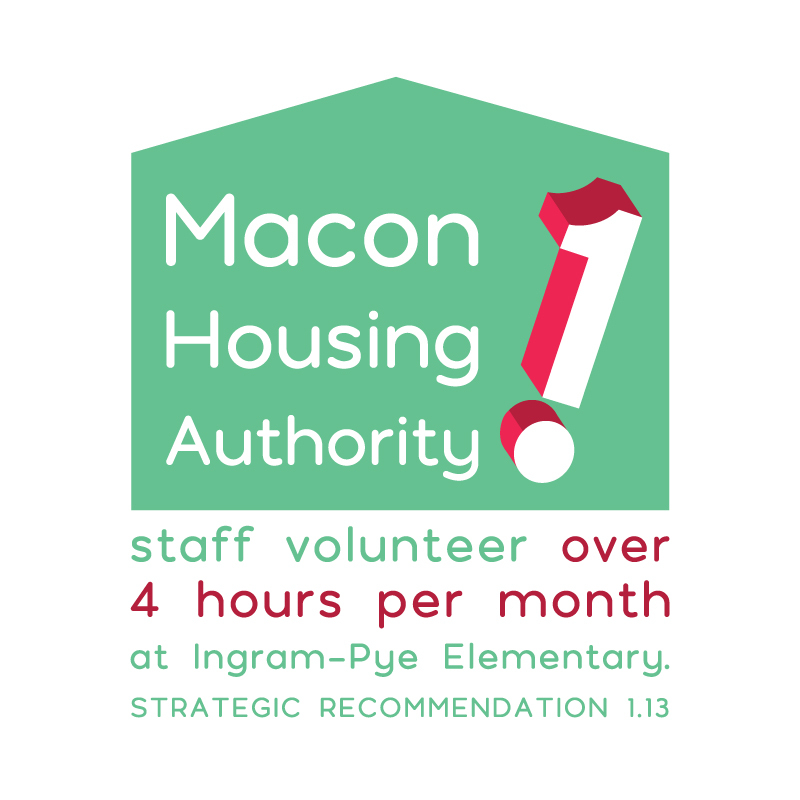 Macon-Bibb Housing Authority and Ingram-Pye Elementary are learning from each other through a volunteer program that matches staff with students. Staff members of the Housing Authority are tutoring students at Ingram Pye Elementary School, where they can volunteer for up to four hours per month without taking personal time off. Ingram-Pye is located two blocks from the Housing Authority’s main office, and many of the children who attend the school are residents of Felton Homes, Inc. and Murphy Homes – two of several neighborhoods owned and operated by the Housing Authority. “Since this school is in our local neighborhoods, it made sense for us to adopt this particular elementary school to provide volunteer services,” said Housing Authority CEO Michael Austin. Additionally, “youth who meet regularly with their mentors are 46 percent less likely than their peers to start using illegal drugs and 27 percent less likely to start drinking,” according to a Big Brothers Big Sisters study. Dr. Danielle Howard is the principal of Ingram-Pye. She said the program has potential to not only be beneficial for Ingram-Pye students but for students from around the county. 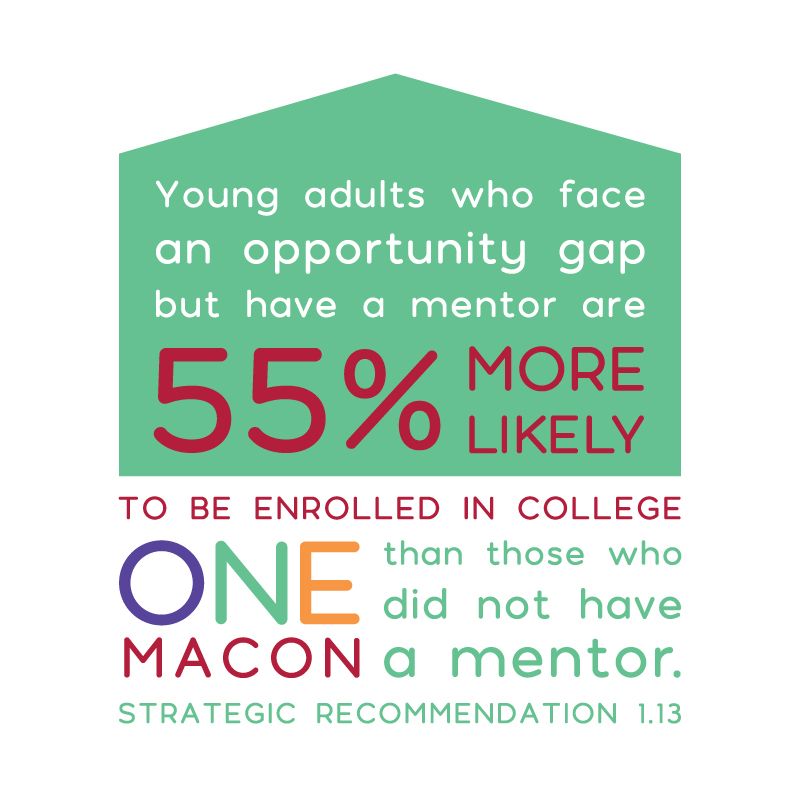 But the partnership isn’t just benefiting students. Volunteers are also gaining valuable experience and enjoy helping in their community. Austin said over time he hopes the program will expand and offer Bibb County students opportunities not only through tutoring, but also through presentations and other collaborative work with partners in the community. “We are thrilled to be able to offer our employees the chance to engage in meaningful volunteer work at this terrific elementary school led by Dr. Danielle Howard,” he said.